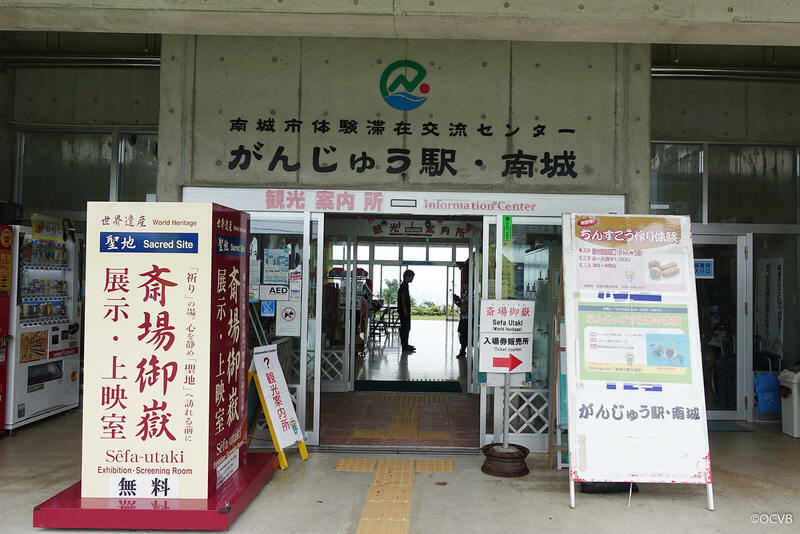 We visited the Ganju Station Nanjo in the city of Nanjo in Okinawa. 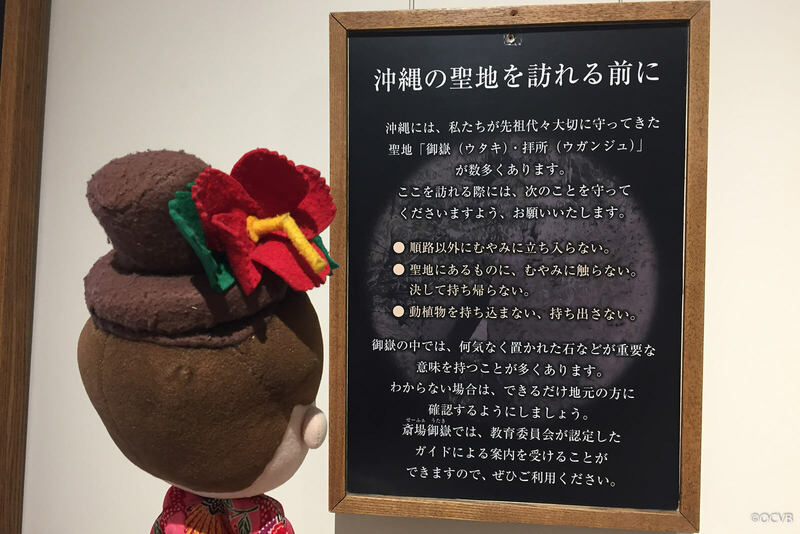 An exhibition highlighting Sefa-utaki is currently being held at this facility, located close to both Chinenmisaki Park and the UNESCO World Cultural Heritage Site, Sefa-utaki. 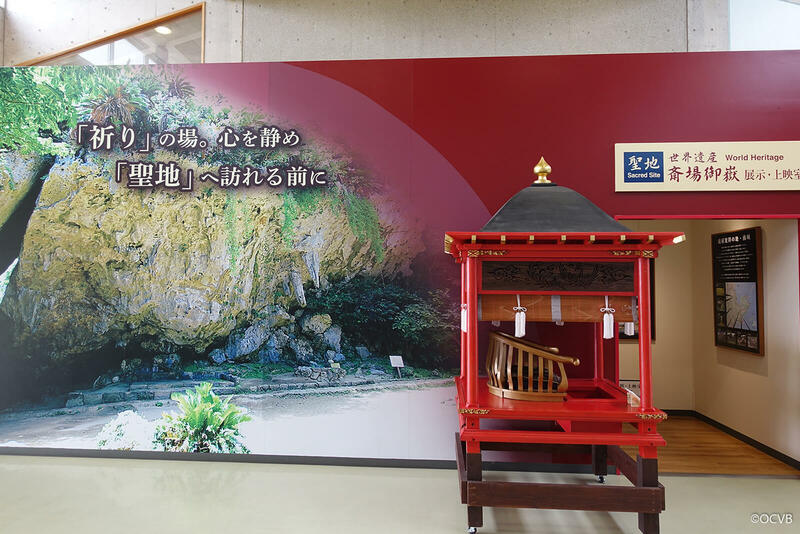 “Utaki” is the general name given to sacred places throughout the Ryukyu Islands, and Sefa-utaki is regarded as the most sacred of them all. 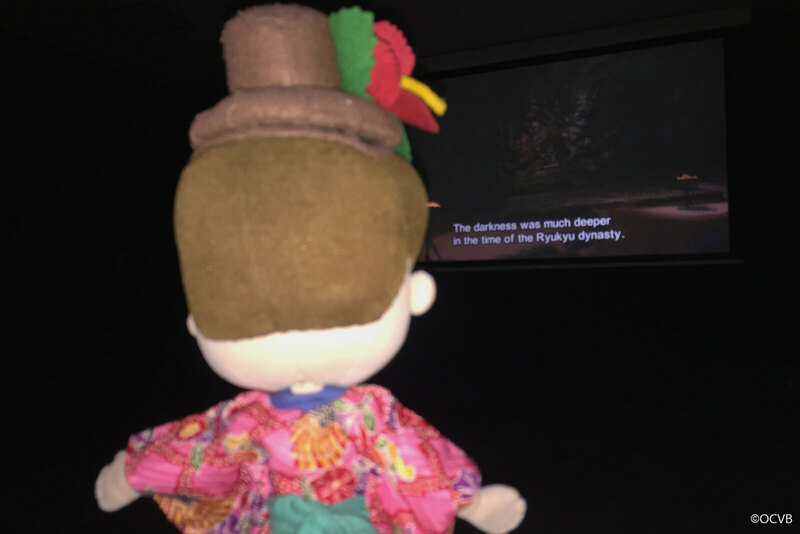 After learning the local customs and deepening your understanding through exhibitions and screenings, we recommend that you experience an actual Utaki. 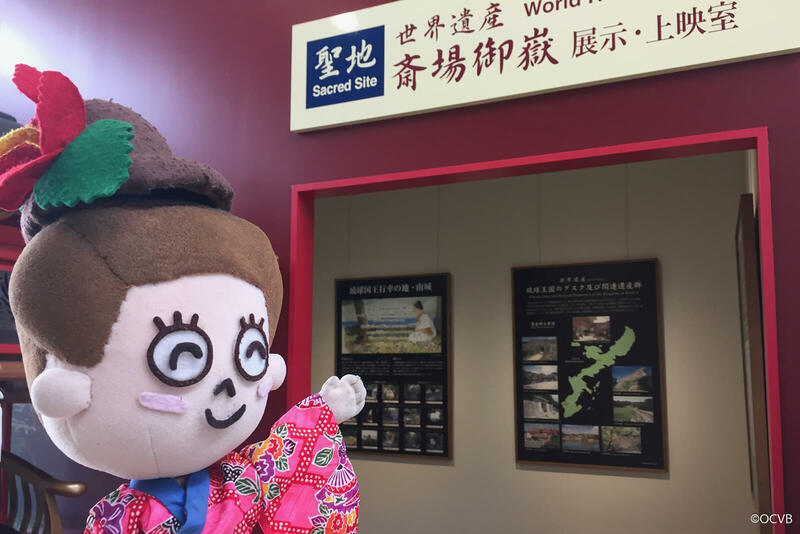 You are also able to learn about Utaki here when it is not possible to visit the real Sefa-utaki due to rain or other circumstances. 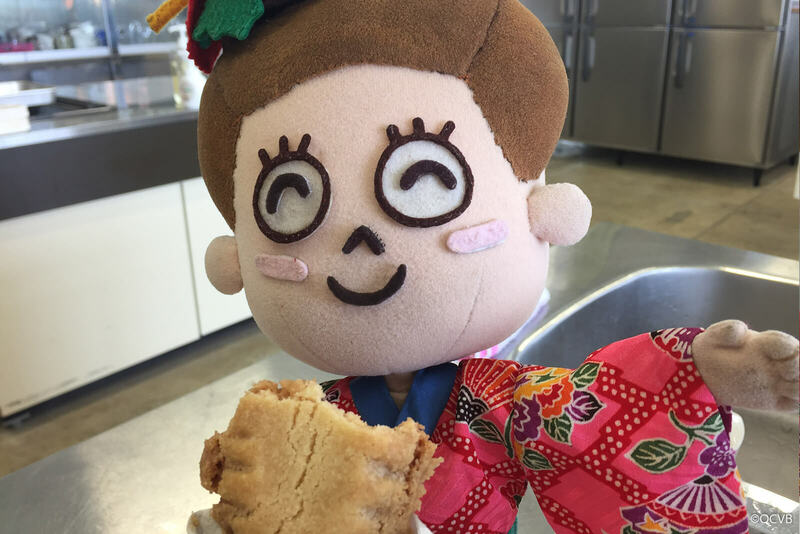 Chinsuko was brought to Okinawa from China during the time of the Ryukyu Kingdom and is said to have been a valuable confectionery that could only be eaten by royalty and members of the aristocracy. 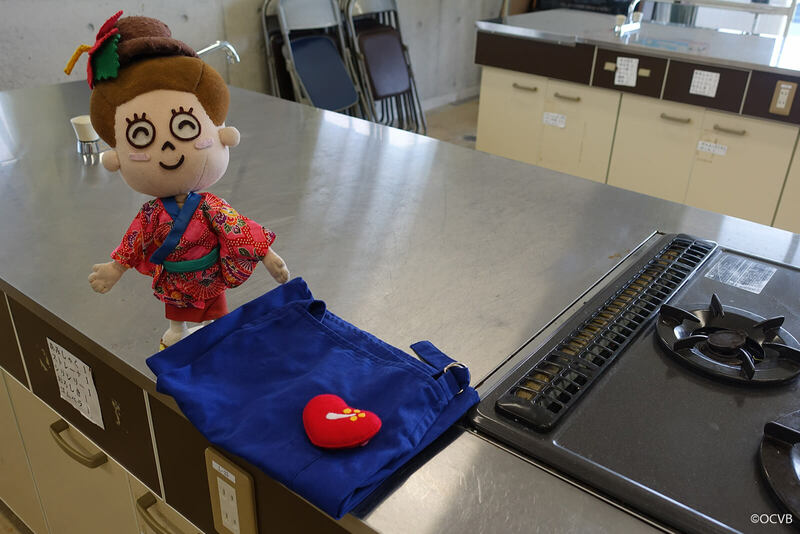 After completing the application form and heading into the cooking room, we were each given an apron. 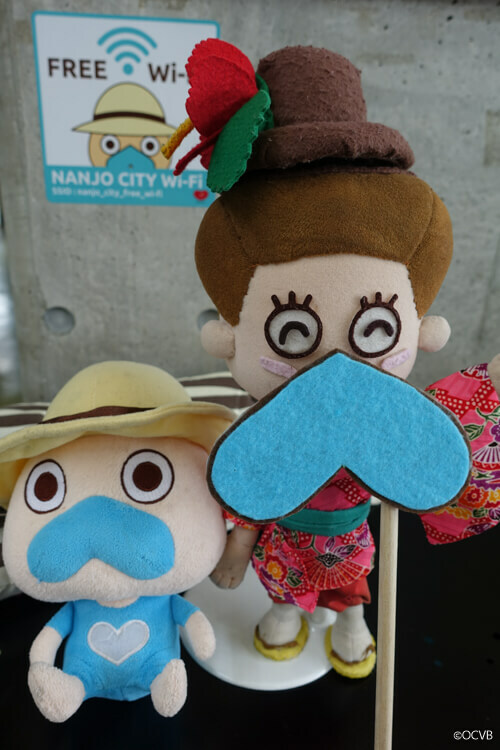 They had a cute motif in the shape of Nanjo City, which resembles a heart. 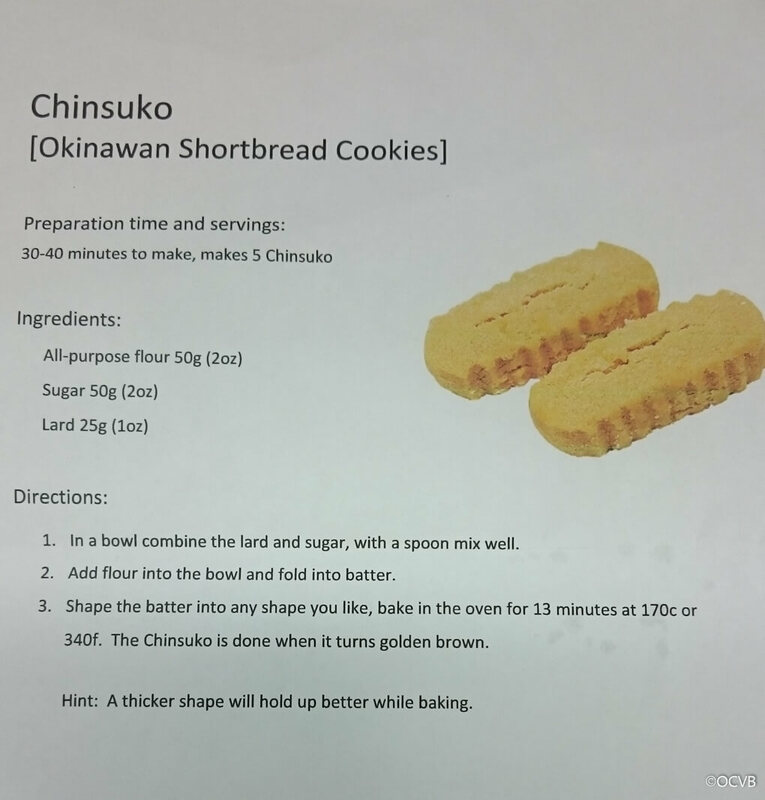 The recipe was quite simple and the ingredients for 5 servings of chinsuko are just 50g of flour, 50g of sugar and 25g of lard. 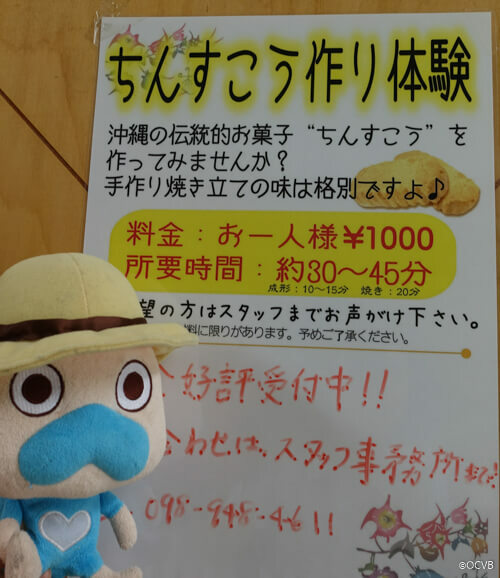 There is even a recipe available in English! First mix the sugar and lard together, then add the flour and stir the ingredients well. 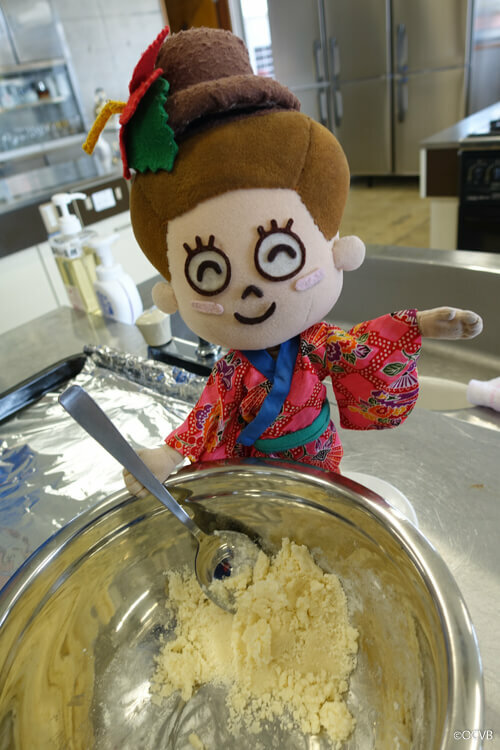 Once mixed well, use your hands to knead the dough. You can either make the shape by hand or use a cutter. I decided to use cutters shaped like the Nanjo City mascot Nanji and hearts. 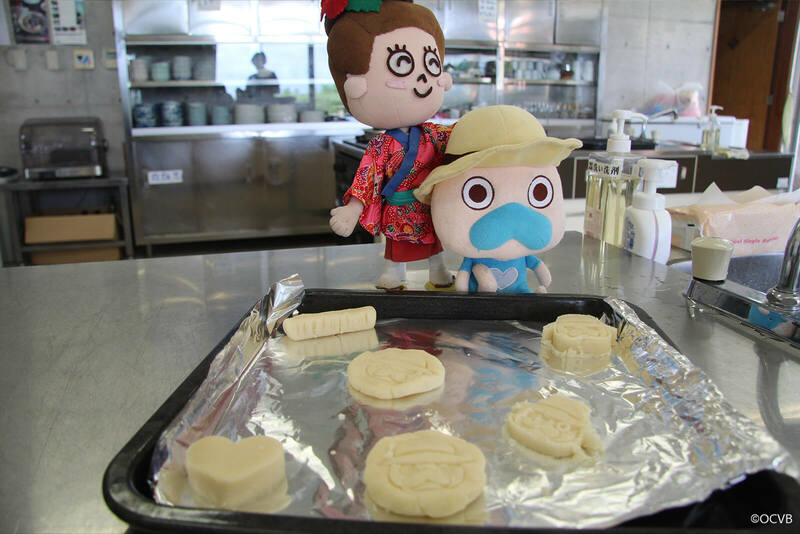 It wasn’t very easy to remove the dough from the cutters. 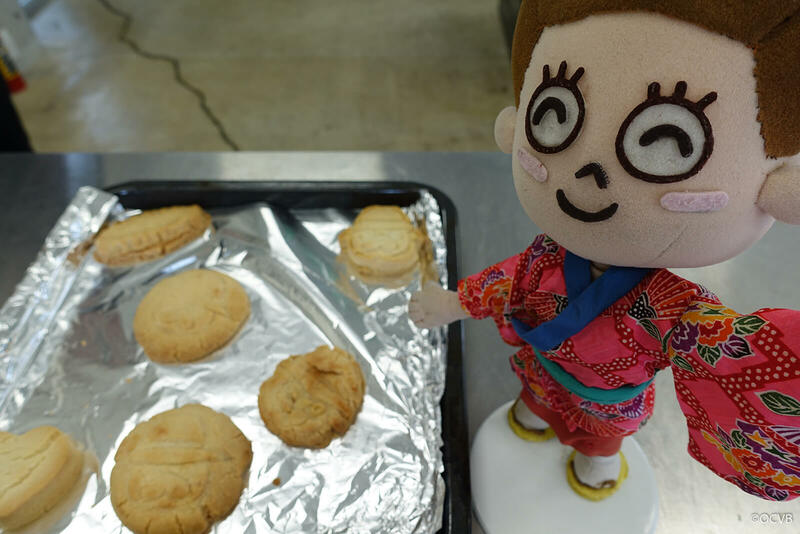 Place in a pre-heated oven at 170℃ (338°F) and bake for approximately 15 minutes. 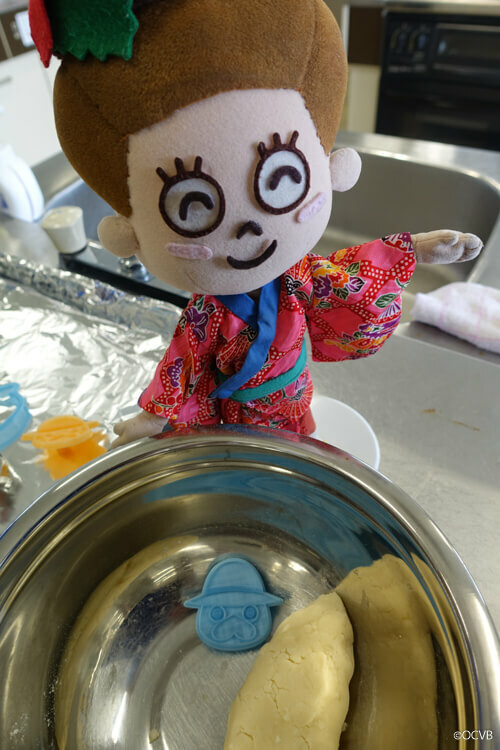 They will turn out delicious! 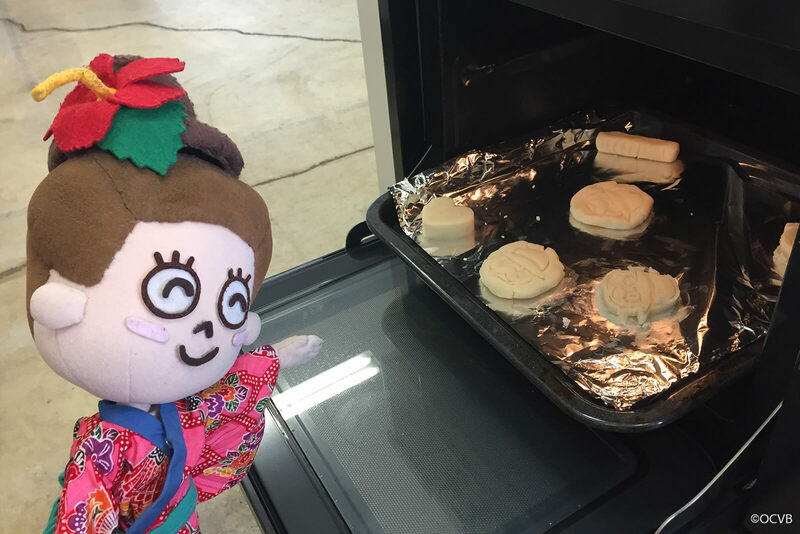 While waiting for our chinsuko to finish baking, both Nanji and I couldn’t take our eyes off the oven. We got to eat them fresh out of the oven while they were still hot. 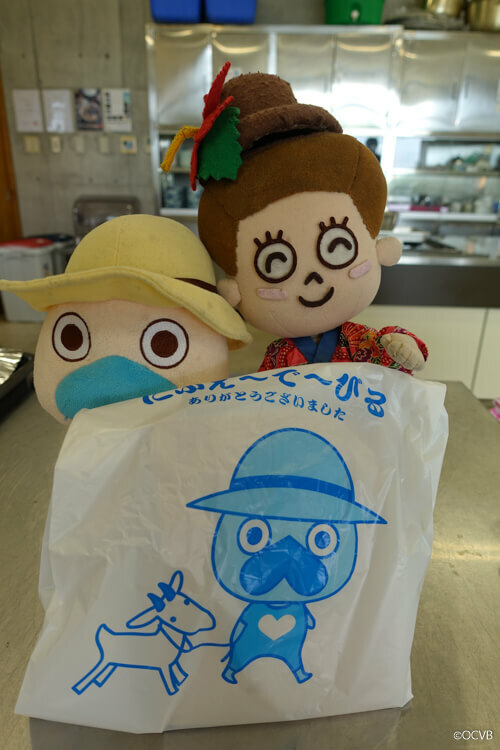 You can also put your finished chinsuko into a bag and take them home as a souvenir to enjoy later. 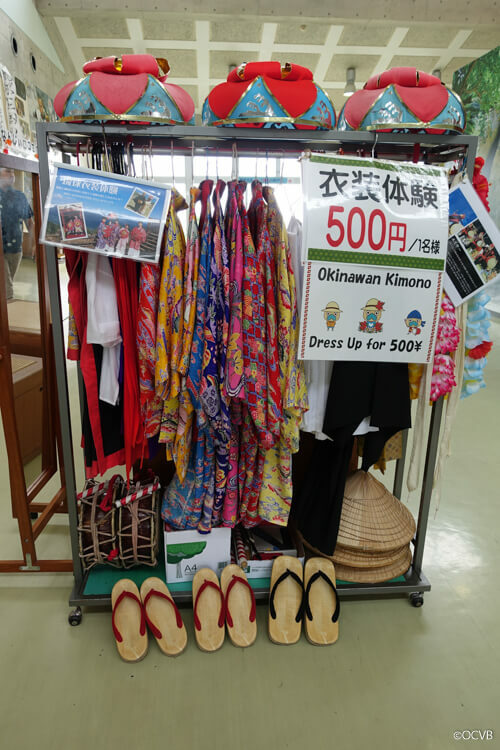 At Ganju Station, there are also other Ryukyu experiences and key ring workshops for around 500 yen. 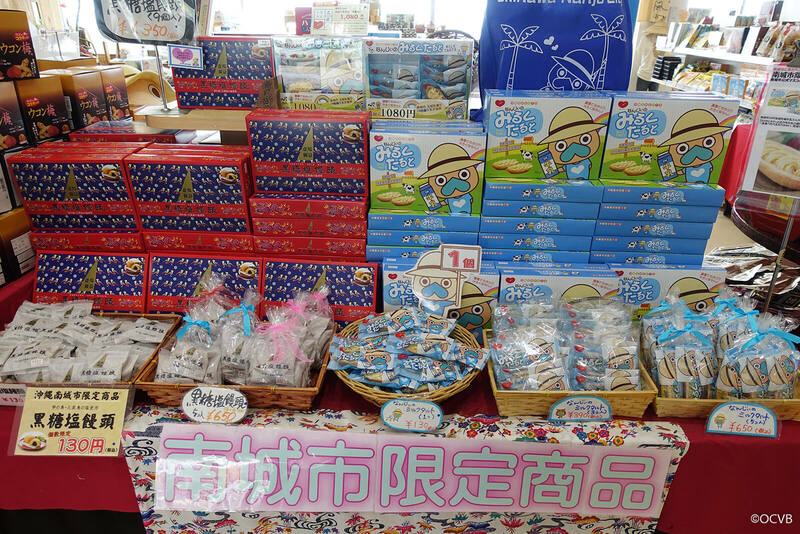 The exterior of Ganju Station has become a souvenir marketplace, selling goods only found in Nanjo City, including Nanji merchandise. 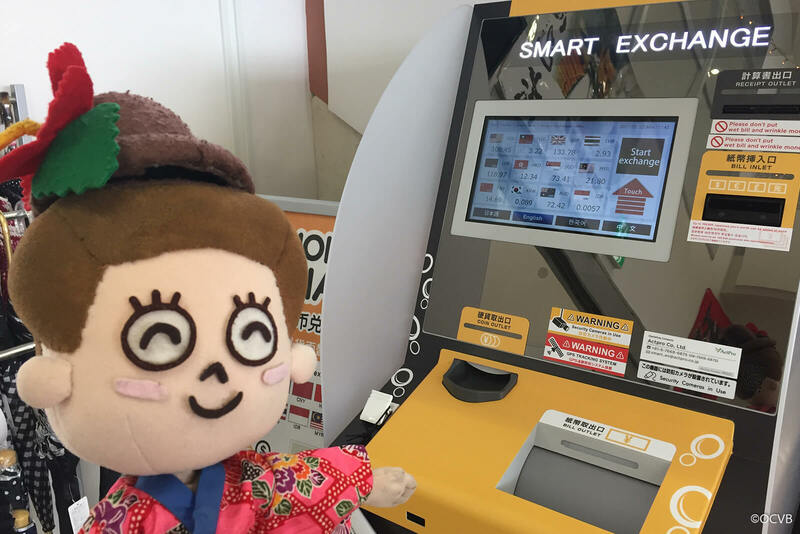 There are also machines to exchange foreign currency. 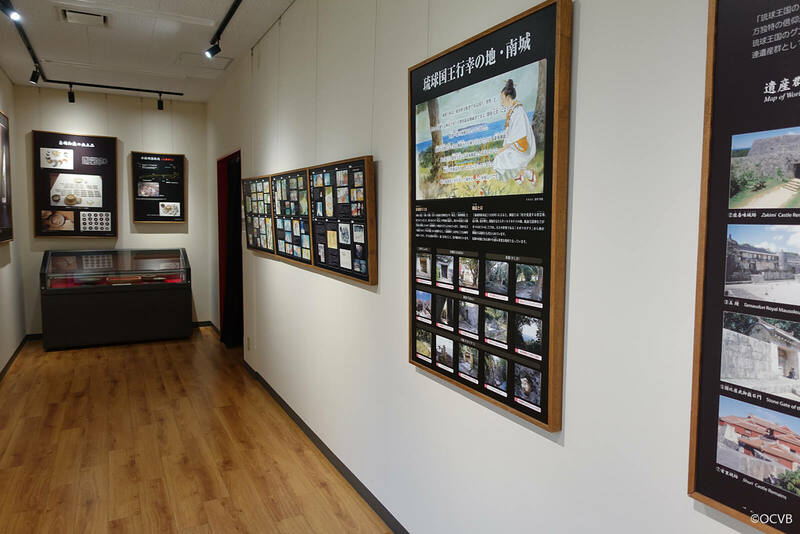 When you need a rest while driving through the south or when outdoor sightseeing is unfavorable due to inclement weather, why not have a memorable experience at Ganju Station, Nanjo? 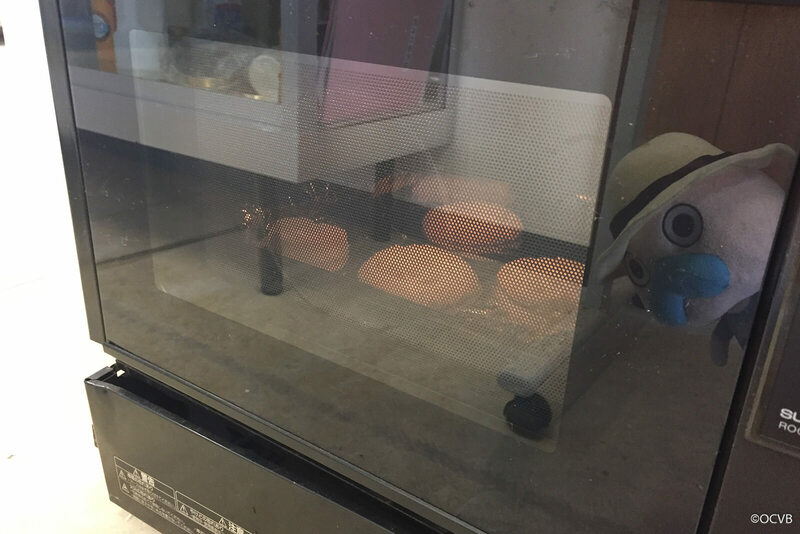 【Blog】The original glass making program at the glass workshop!